This amazing device can help increase circulation, reduce pain, improve range of motion, relax muscles especially good for large areas like back from occiput to sacrum. 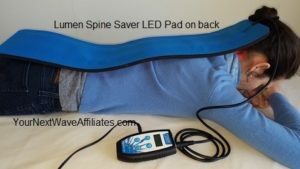 The Lumen Spine Saver (IR/R) Photon Therapy Device comes with (1) Lumen Dual Port Controller, (1) Lumen Spine Saver (IR/R) LED Pad, power adapter, and manual. The powerful Lumen Dual Port controller offers 7 frequencies of infrared and visible light with 8 user-controlled settings from a universal micro-processor ensuring that an optimum setting is available for most situations. 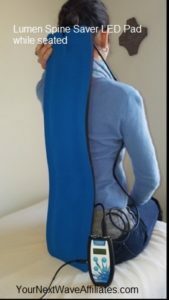 The Lumen Spine Saver (IR/R) LED Pad is made of flexible neoprene and may be easily applied anywhere on the body. It measures 30” X 7.5” and features 240 visible and 288 infrared LEDs. The Lumen Spine Saver (IR/R) LED Pad is versatile and is suitable for a variety of uses. It is especially good to cover large areas for treatment such as the back from occiput to sacrum. NOTE: The Lumen Spine Saver (IR/R) Pad requires a Dual Port Controller and may not be run with other pads at the same time. Because this is a custom built pad, delivery time may take slightly longer due to demand. The Lumen Spine Saver (IR/R) Photon Therapy Device has a 30-day, full money-back guarantee*, and is warranted against defects in materials and workmanship for one year! Want to make sure you’re choosing the right Lumen Photon Therapy Device? Click Here. Lumen Spine Saver (IR/R) Photon Therapy LED Light System Includes: (1) Lumen Dual Port Controller, and (1) Lumen Spine Saver (IR/R) LED Pad, Power Supply, and Manual. NOTE: The Spine Saver (IR/R) Pad requires a Lumen Dual Port Controller and may not be run with other pads at the same time. This is a custom built pad and delivery time may take slightly longer due to demand. Lumen Spine Saver (IR/R) Photon Therapy Device has a 30-day, full money-back guarantee*, and is warranted against defects in materials and workmanship for one year! o Next Wave Discounted Price: $2160.89 USD* (INCLUDES FREE Shipping & Handling within the continental U.S.)*Note: Price includes shipping within the continental U.S. only — Email Next Wave at Info@YourNextWave.com to request shipping and handling quotes/options when shipping outside of the continental US. Please include the Lumen model of interest, your COMPLETE shipping address, and phone number. Lumen Photon Therapy Inc, is an innovative leader in the field of photon therapy. The company is founded upon a deep ethical commitment to expand the field of photon therapy and to supply the best possible equipment, offering powerful clinical potency at the most affordable prices. Light Therapy is a relatively new field of treatment which can be of help to people with widely ranging ailments such as soft tissue injuries, Fibromyalgia, repetitive stress disorders, TMJ, chronic pain syndrome, carpal tunnel syndrome, degenerative joint conditions like arthritis or bone spurs, sinus problems, or headaches. Light Therapy is an adjunctive therapy which supports and accelerates healing; it can be combined with many other forms of treatment for exceptional results and can successfully treat many conditions which resist resolution through traditional means. According to Dr. Stan Gross, healing light waves from the Lumen penetrate approximately 6 to 9 inches. Lumen Photon Therapy™ provides a new system of photodynamic therapy products utilizing state-of-the-art technology that can help provide a complete and lasting resolution of many health issues when coupled with a medical diagnosis. All Lumen™ products are designed to help activate the natural healing processes in the body and can be used in the home, office, or while traveling. Lumen Photon Therapy™ is an adjunctive solution providing spectacular results in many cases. Sherry Rogers, MD recommends Lumen Therapy! Dr. Sherry Rogers featured the Lumen in her self-authored January 2005 AND November 2005 “Total Wellness” monthly newsletters. Mari McShane, BA, BS, QBS recommends Lumen Therapy! All Lumen devices have a 30-day, full money-back guarantee, and are warranted against defects in materials and workmanship for one year! You must provide shipping and tracking information both to Next Wave Marketing & Consulting Services, Inc AND to Lumen. Should Lumen have to refurbish or repair your device, you will be charged the fee to refurbish/repair. This fee will be deducted from your returned funds in addition to the restocking fee. Weight Management – BioEnergy Two-Patch Combo * $74.94 Special! 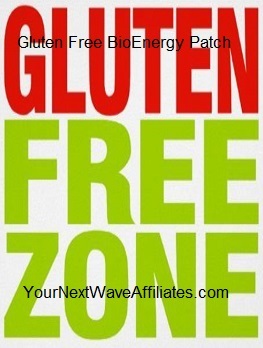 Gluten Free – BioEnergy Patch * $39.97 Special! 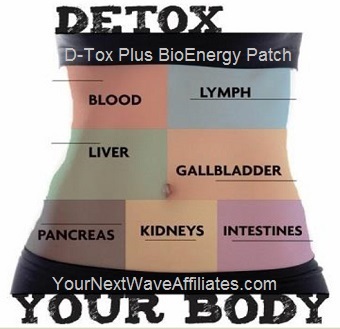 D-Tox Plus (Detox) – BioEnergy Patch * $39.97 Special! 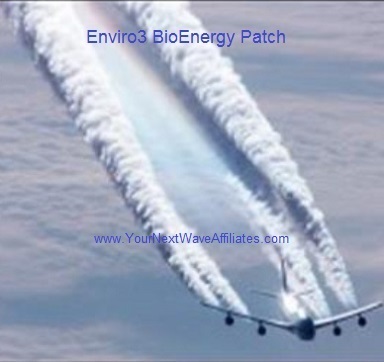 Enviro3 (Environmental Allergies) – BioEnergy Patch * $39.97 Special! Next Wave specializes in affordable highest quality solutions for pain, inflammation, and stress. WHY ARE NEXT WAVE PRICES SO LOW? Enter coupon code "gift4me" at check out for your incredible $39.97 special price. That’s an entire sheet of 10 Adhesive Energetic Disks (formerly called BioEnergy Patches) for only $39.97! NOTE: Orders received after 2:00 p.m. (PST) will be processed the following business day. © 2019 Your Next Wave Affiliates, YourNextWave.com and Respective Owners. Empowered by Cdincorp, CDI. All Rights Reserved.